A stunning beauty in white never fails to create lasting impressions. 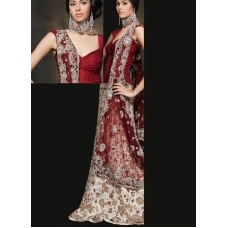 Flared white lehenga is adorned with beautiful floral pattern featuring maroon resham, zardosi, beads and kundans. 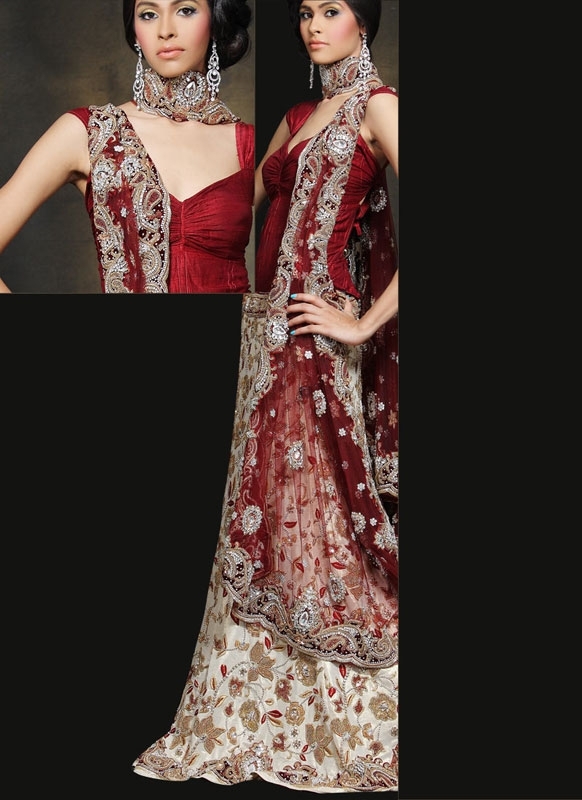 Velvet patch along the hem of the lehenga is decorated with embellished paisley and floral pattern. COMES WITH A MATCHING CHOLI SIMILAR TO THE LEHENGA. Embellished white choli keeps the opulence in check. Exquisite net dupatta with embellished motifs throughout and embellished velvet patch along the borders complete the outfit. A dupion lehenga choli with net dupatta.